... And the bartender says, "Sorry we don't serve food here." 1. In a food processor, pulse figs and dates until they are combined, about 1 minute. 2. Add 1-1/2 cups coconut flakes, coconut oil, cinnamon and sea salt. Pulse several minutes until the mixture becomes a thick paste. 3. Roll mixture into 1” balls; flatten with your palm and cut into bars (reusing the sides), or leave as flat rounds. 4. 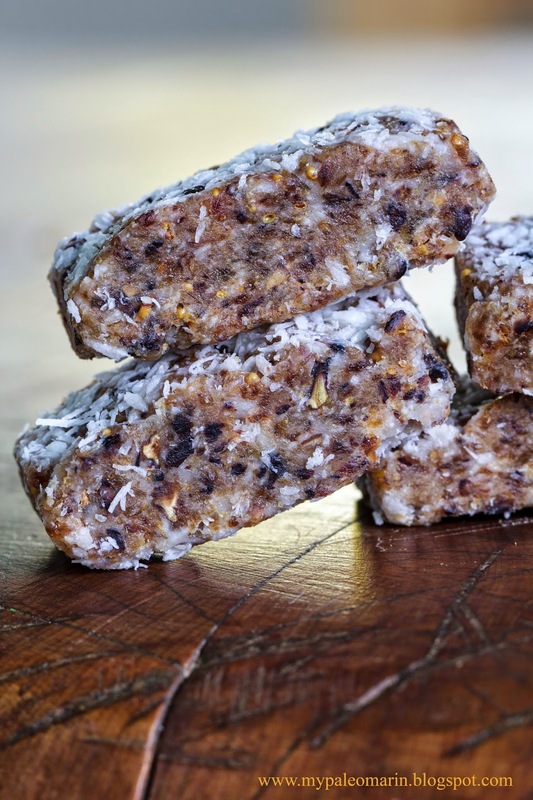 Roll each bar or round in remaining 1/2 cup of coconut. 5. Put bars on a plate in the fridge for 30 minutes to firm up the oil. Store in a container in the fridge for up to 2 weeks.